Paso Robles, finally! Not since last July had I spent any reasonable amount of time in the Central Coast land of Syrah and Roussanne. A few Sundays ago, in some of the worse rain Central California saw all season (and it has seen a lot), we braved the wind and water and headed north. The storms were no joke. We passed flooded farmlands and barns, tempest swollen rivers, and a number of micro-mudslides (not a good sign) along the way. But the wine was good, the conversation lively, and with my wife and our Beagle along for the ride, it was a perfect day. As it turns out, the timing as it was perfect too. Linne Calodo had been on my winery “to-do” list for while. With the press that winemaker Matt Trevisan has received over the past few years, I was curious to see what he had going on. After some debate about visiting them on this Paso trip or the next, we decided it was a good day to go. As it turns out, we caught them at the perfect time. That Sunday would be the last day Linne Calodo would be open to the public without an appointment. Tasting Room Manager Brandi Stansbury explained to us that it was about getting back to a one on one experience with customers and providing a more intimate exchange. She took us on a short tour of the facility (they have concrete fermenters, exciting stuff! ), that included a barrel sample of a fantastic Grenache forward blend. What we experienced with Brandi is exactly what they hope to do provide to a more limited number of guests. However, there is more to the change than just smaller groups of visitors, winemaker Matt Trevisan told me in an email. Trevisan told me that for the first two years since Linne Calodo was founded in 1998, they only did tasting from barrel samples. Over time, with more friends and family coming to taste, they started doing the tastings on an old concrete patio a few steps below his house. In 2002 they expanded their facilities further. While business was good at the tasting room, there was one detail that was overlooked. Trevisan also hopes these changes are a positive for those who will participate in the tours. Tablas Creek is a different story. When the Perrin and Haas families first built Tablas Creek on isolated Adelaida Road in western Paso Robles, it was practicality and not grandiose, they were after. The tasting room was modest, cozy. That was before Tablas Creek became an American classic and one of the most sought after wineries in California. 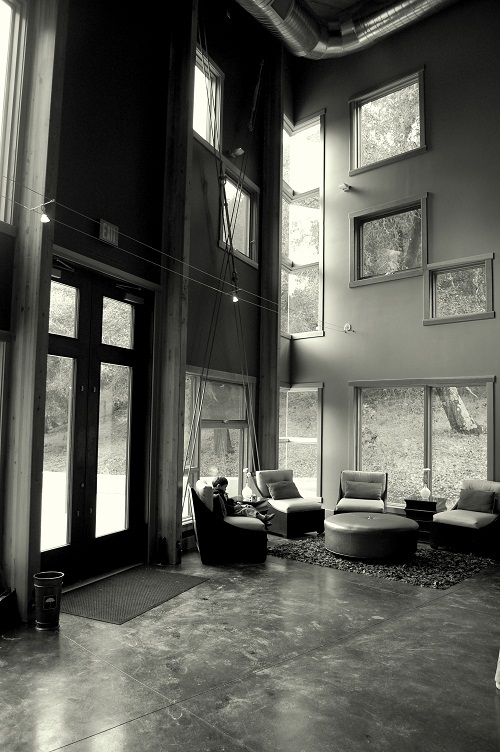 So in 2010, Tablas Creek took on the undertaking of adding a new tasting room and expanding and improving their office spaces. Watch a video of some of the construction here. 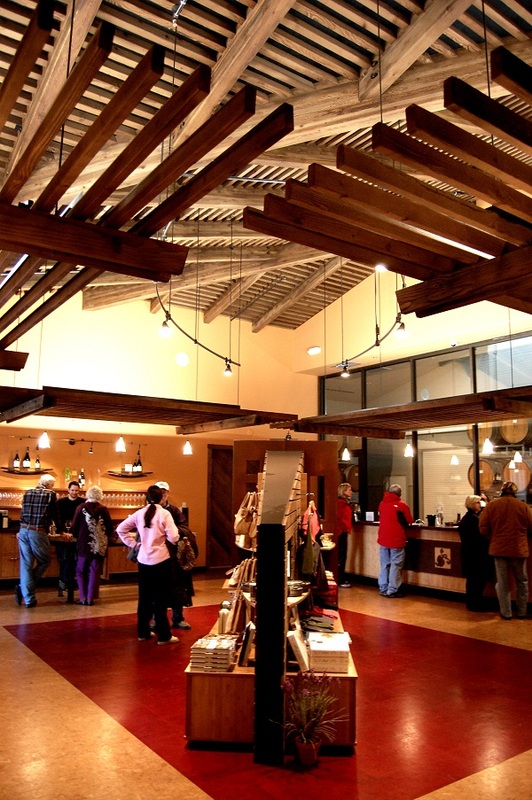 Built by Rarig Construction (who built Grassini, Foxen, Sea Smoke, and many others), the new space incorporates aspects of the winemaking facilities into a more spacious and efficient tasting room. 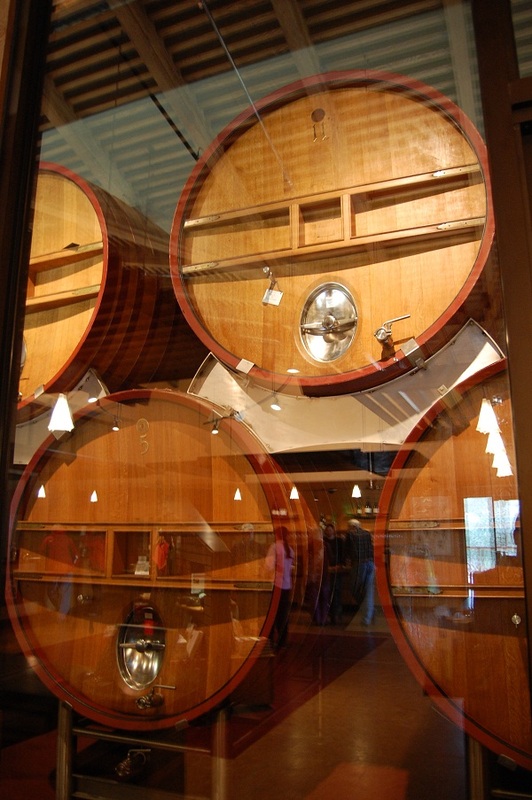 Large windows open into one of the production areas, showcasing their trademark oak casks. The expansion also includes sitting areas outside the tasting room and landscaping that will bring Tablas Creek’s legacy of Rhone varietal importation and propagation front and center. 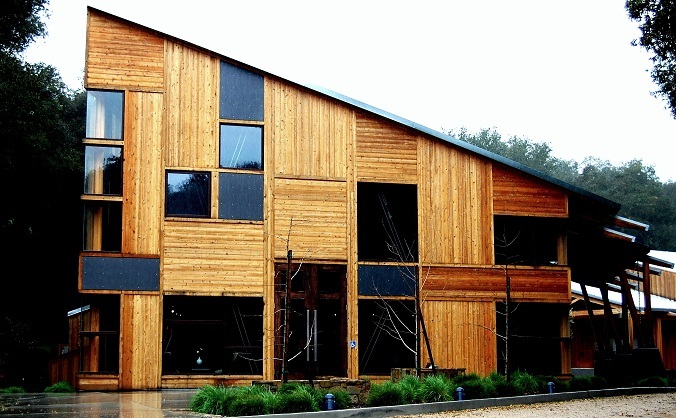 As far as how the staff of Tablas Creek is adjusting to all these changes, “we’re still figuring it out,” Jason says. But the changes are overwhelmingly positive ones, especially for guests. There is more benefit to the new construction than just improved customer capacity however.